Wondering if your newly launched website is up to code? 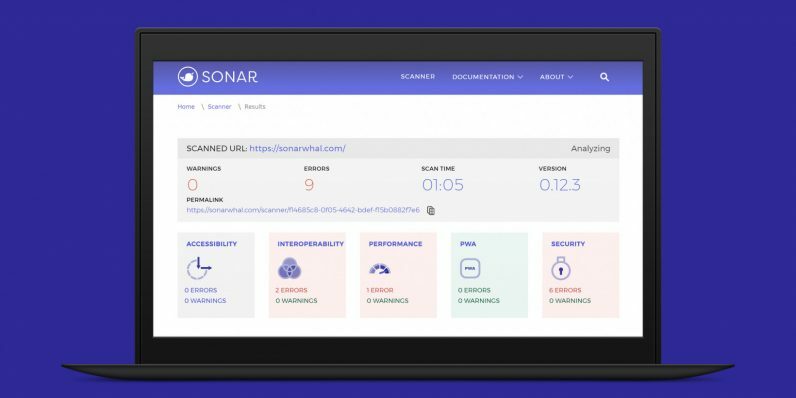 The folks who built Microsoft Edge have just launched Sonar, an open-source linting tool to help test your project for performance and security issues. Sonar was first announced as a donation from Microsoft to the JS Foundation back in June, as part of its ongoing commitment to befriending the open source community. It’s now ready for anyone to use on many kinds of sites including intranets and online stores, and developers are invited to join in and help make the tool better. Enter your project’s URL, and Sonar will comb through it for accessibility, interoperability, performance, security and progressive web app-related issues. Once it’s done scanning, it’ll list the errors it’s found and do its best to explain what’s going wrong, highlighting the errant code snippets and offering possible solutions. You can see the scan results for Sonar’s own site on this page. Antón Molleda, a senior program manager for Microsoft Edge, explained that Sonar improves on the capabilities of other linting tools by executing your website code in a container instead of simply performing a static analysis for more accurate results, as well as allowing for integration with other services. And if you don’t care to use Sonar in your browser, you can also invoke its command-line interface. Sonar is ready to use right now over on this page, and is getting more features soon, including a Visual Studio Code plug-in, options to customize rules in the web app, and support for additional rules to test for performance, accessibility and security.